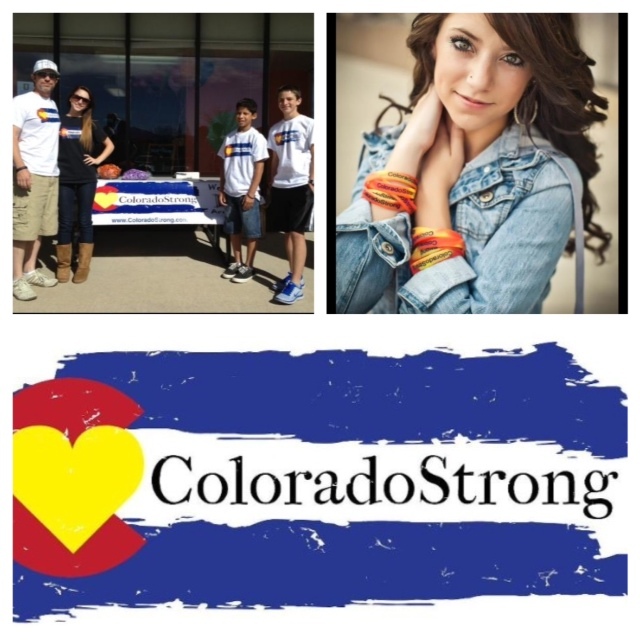 ColoradoStrong: Click here to order ColoradoStrong® merchandise! If you're on our Facebook page, we'll keep you posted as to when and how you can see where your donations are going, where we will be in the community, events, contests and other great info! 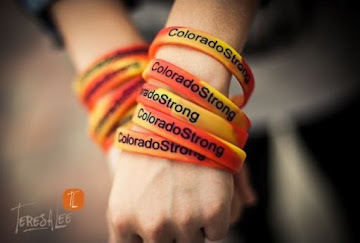 The COLORADOSTRONG® wristbands are Colorado red and yellow swirl to represent the Colorado wildfires we've endured and "ColoradoStrong" is debossed dark blue text to represent the colors of the Colorado flag. Wildfire and other tragic events can't keep us down because we are ColoradoStrong® and nothing shows it better than these wristbands. Wristbands are 100% silicone and super comfortable so you can wear them all day long and be all day strong! 100% of proceeds are donated. COLORADOSTRONG® wristbands start at $2 each and go down in price if you buy in bulk. Look cool and show that you are COLORADOSTRONG® and standing tall against Colorado wildfires and other devastating events in our beautiful state. COLORADOSTRONG® Tshirts are $15 for white and $18 for black (available for a limited time while supplies last), offered in adult sizes S-XL. They are PolyCotton 50/50 blend for super comfort. COLORADOSTRONG® Bumper Stickers are $2 each. They feature our logo, are vinyl coated for UV protection and measure 3" x 8". 100% of proceeds are donated. T I want to order 20!!!! !